82 Surfskis Waka-Amas and SUPs tore up the tranquil winter sheen of Okahu Bay for July's Race 1 of the Auckland Downwind Winter Series. A big contingent of Waka-Amas and Surfskis as well as a number of loyal SUP competitors charged out of Okahu Bay for the multi-lap 'Bean Rock Backburner' even for Race 1 of the Auckland Downwind Winter Series. While the conditions were cool and slow, the racing was hot and fast, with a number of surprise podium finishers. Heading straight off the start-line like and arrow from a bow was Sammy Mayhew, with a large colourful pack hot on his tail. Straight under the pier so as not to snag any of the fishing lines it would be a few boat lengths lead that eventual long course podium finishers Simon Longdill and Jordan MClarin would need to claw back. Claw back they did, and from a spectator perspective it was fascinating to see the leads change hands as the tussles developed between the top two oceanski lead groups, the lead waka group and the leading SUP's. Lack of any significant winds prompted the new 'Bean Rock Backburner' for the first race of the 2016 ADWS race. With low tides squashing any ideas of the popular Hobson Bay bridge loop, competitors raced around the breakwater poles of Okahu Bay and out to Bean Rock, with Long course competitors making two and a half laps for a 16km course, and short course paddlers completing only one 6.5km long lap. With the music going and the competitors rounding the turning buoy just off Royal Akarana Yacht Club, the spectators and officials were kept entertained. Heading straight off the start-line like and arrow from a bow was Sammy Mayhew, with a large colourful pack hot on his tail. Straight under the pier so as not to snag any of the fishing lines it would be a few boat lengths lead that eventual long course podium finishers Simon Longdill and Jordan MClarin would need to claw back. Claw back they did, and from a spectator perspective it was fascinating to see the leads change hands as the tussles developed between the tope two oceanski lead groups, the lead waka group and the leading SUP's. Eventually it would be a pumped 16 yr old Jordan MClarin to pip local boy Simon Longdill to take overall honours in 1:08:13. 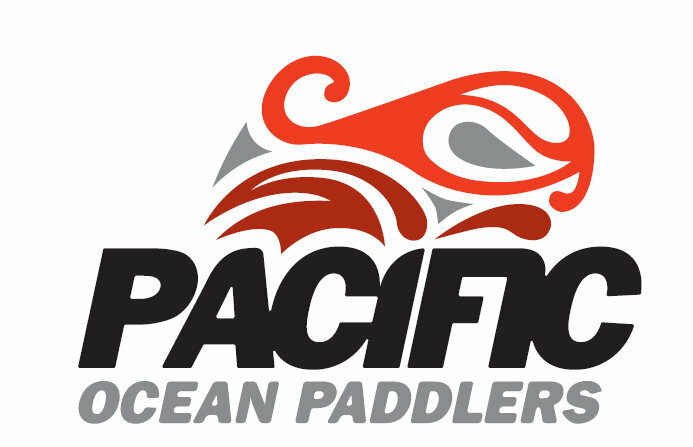 "Pacific Ocean Paddlers started off as a Facebook group for coordinating paddles and training sessions" states Race Director Garth Spencer, adding that the Auckland Downwind Race Series was originally spawned by Katie Pocock's Pita Pit Winter Race Series to fill a gap in the winter months. "Most of our experiences to date indicate that there is a massive interest in paddle events in Auckland. To have 80 plus paddlers turn up for a Sunday afternoon event is just the beginning." Pacific Ocean Paddlers are working on a number of exciting initiatives in the lead up to their premier event, the Auckland King and Queen of the Harbour, which doubles as the NZ leg of the World Surfski Series and the NZ Ocean Racing champs for surfski. "With World Masters Games in April 2017, and with feedback to bring the King and Queen of the Harbour back into the windier months, we are looking at an early December date for this years event, but are yet to confirm." More information with be made available shortly as Garth and team work with potential event naming rights sponsors and existing sponsors around this date. Paddlers are reminded to get their entries in here for Auckland Downwind Winter Series Races 2, 3 and 4 of the Auckland Downwind Winter Series, with significant savings for early series entries. Fresh from her second place at Molokai, Rachel Clarke notched up a solid win in the ladies Long Course oceanski, narrowly outsprinting Simon Mclarin, overall specski winner. The Waka-Ama competition was hot, with Tim Eves trailoring down a large contingent from Whangarei's wild north. It was neck-one-neck racing for Shannon Moon (1st, 1:19:07), Mark Malaki-Williams and Stephen Roulston. Courtney Hunter from Art in Surf, one of our sponsors-extraordinaire cinched the Short Course 12'6'' SUP category victory. A real ding-dong battle ensued with Art In Surf (and sponsor) Felipe Do Santos and Marcus Hansen, with the lead changing on every lap. Finally the line honors would go to Felipe with a sprint finish. With a thumbs up from Race Director Garth Spencer, Jordan MClarin claims top spot on the series ladder from Simon Longdill, with Travis Mitchell from Mairangi Bay in 3rd spot. Doubles Combination of Andy and Kayla Zar keep it in the family. Newcomer Kayla was flawless in matching dad's technique all the way round the course, with a number of bystanders commenting. Ladies oceanski victors with Rachel Clark (Left, current world #3), Pamela Kane (centre, 2nd) and Michelle Impey (right, 3rd). Youth dominating again, with 14 year old Aatea Clifton taking out the ladies Short Course Specski title in her first race, and 16 year old Cleo Wheeler bagging the Long Course Specski title. A huge thank you to our loyal supporters and volunteers! And what about our awesome sponsors – make sure you thank them for their generous ongoing support! The prizetable for the last race of the series, with spot prizes being awarded for lucky random draws. 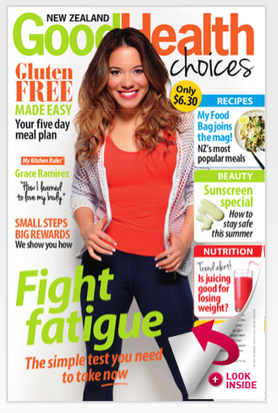 With a readership of 155,000, New Zealand's popular Good Health Choices magazine brings some valuable horsepower to the event sponsorship team, allowing us to extend further the awareness of the health benefits of paddling and of course of the Downwind Winter Series in general. Click on the above link to find out more about the publication! The Explore Group continue to demonstrate a willingness to support adventure paddlesports, whether its transporting paddlers and spectators to the start/finish on event day, of getting us and our craft over to Waiheke Island for a stonking downwind session! Stay tuned for some exciting news in this space as we work with Explore Group getting paddlers to places otherwise inaccessible in gnarly downwind weather! Balance Sports Nutrition is one of the longest running, most trusted sports nutrition brands in Australia and New Zealand. Balance Sports Nutrition are responsible for ensuring our race packs and spotty-table is stocked with gels and bars. Click on link above to find out more. Matty Graham from Exponential Performance Coaching is again providing 2 copies of his e-Book 'PADDLE STRONG - Kayak Specific Strength Training' for two lucky paddlers during the Series! Be sure to click on the above link to find out more about how you can improve your strength and technique! 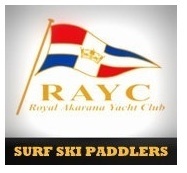 Andrew and team will be again hosting us at the Royal Akarana club for the 2015 Downwind Winter Series! 2015 will see commencement of construction on the new clubhouse facilities. Click on the website to join as a member of the coolest paddling and sailing squad in town! Oskar from FENN New Zealand is, as always, quick at making available a range of FENN surfskis for international or out of town paddlers. Click on the link above if you need any support from FENN in New Zealand. Vaikobi are a Principle Sponsor of this years Auckland Downwind Winter Series, with 4 stunning Vaikobi Race-Kits up for grabs worth $500 each! Also, be on the lookout for some good deals at the 2015 ADWS Race Headquarters: PFD's and other gear up for sale!! Click on the icon to order. Welcome back to Charles and team, who provided the Winter Series High-Vis trucker caps. The high quality T's, hoodies and race gear are now synonymous with NZ paddling events! Cant wait to see what's in store for this event yeehaa! Click on the link to order your paddle-apparel now! Art In Surf retain their support of the POP events so stay tuned for some exciting news in this space! Click on the link above or hit up Felipe/Courtney for any of your SUP related needs! Canoe Racing New Zealand are a strong supporter of this years events. Don't forget to check out the official website for all the details of the 2015 events! For da faces behind da races - Don't forget to check out the official website for all the details of the 2015 events! Fergs Kayaks continue to support our events, with support in transportation, boats for international paddler and of course spot prizes! Click on the link to see what else Ian and the team have to offer! PaddlePro - our recent family addition, paddling ergo's that allow you to keep up the training right through the worst of winter! Star Kayaks are sponsoring the new 'STAR-COURSE' : No experience required - catering for a wide range of age and ability, this fun course will be run inside Okahu Bay with entries free to all, and all gear and instruction provided. Just bring your own paddle-wear: there really is no excuse to get yourself of the young ones onto the water! Pacific Ocean Paddlers are thrilled to maintain an association with the World Surfski Series calendar. With 19 race around the world this year, paddlers are tempted into exotic locations across Australasia, Europe, Africa and North America. This brought an exciting international element to this years King and Queen of the Harbour, and will look to take advantage of international paddlers travelling through Auckland to the ICF World Champs. Click on the link above to find out more! Tim and the team at Aquanaut remain firmly behind this years POP events, taking care of our quality craft stickers, and ensuring our spotty table is loaded with some high quality race-wear. Paddler are encouraged to take their time applying race stickers and keeping these on their craft as long as possible over the season, as these are reusable for all POP events and will again include the safety feature of Contact Details (including Next Of Kin) of paddler in the case of emergency. 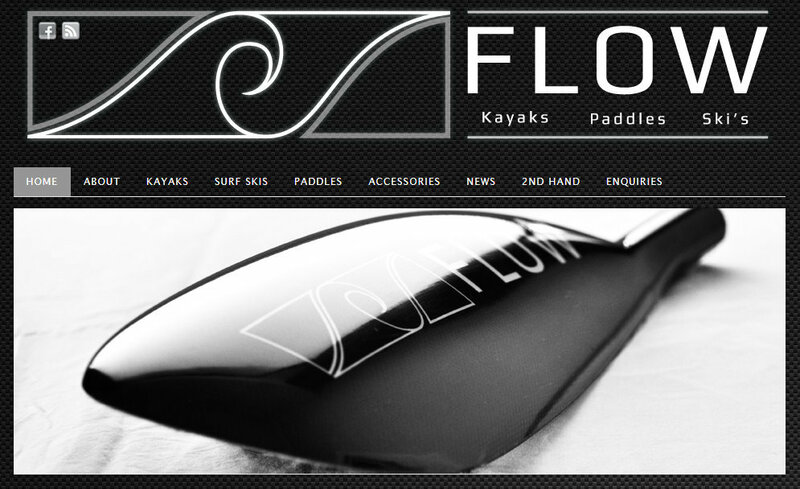 Flow are fronting up with four $250 vouchers off their brand new beautiful carbon MS1/MS2/MS3 paddles! Flow quality products are proudly NZ made and Neil and team enjoy an association with discerning paddlers of these quality boats and paddles across NZ and Australia. Click on the link to find out more about Flow's products. 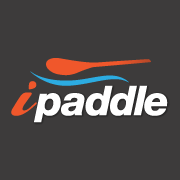 ipaddle is again providing booty for our spot prizes, specializing in premium gear for serious paddlers, selling the gear that the professionals use, including Mocke, Jantex Paddles, Washrider, Vaaka cadence meters, K1 Trainer ergometers, Nelo kayaks, Nelo surf skis and now Nelo waka ama! The waka ama are proving a real success with several golds at the Nationals last month. Click on the above link to take advantage of a 10% saving on Terry's Vaikobi stock, including free delivery!